When the Rebels invaded Canada in 1775, Guy Carlton moved a substantial force south to construct and garrison Ft. St. Jean on the Richelieu River. Evidence suggests that the Light Company was one of the six Royal Fuzilier companies sent. The defenders held on valiantly during the 45 day siege which had weekend the Rebel army enough that they were unable to capture Quebec. 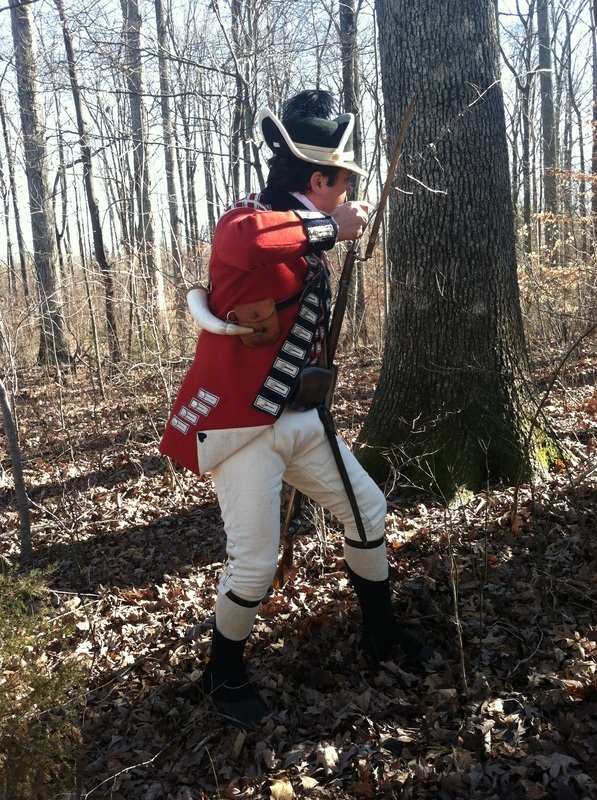 The "Light Bobs" of the Royal Fuziliers wore specialized uniforms and equipment which largely conformed to the 1771 orders regulating the formation of the light companies. Two syles of caps were issued: In 1771, leather caps with feathers were purchased. A 1775 drawing by Lt John Andre shows the caps with long mains of hair, similar to Dragoon helmets. The men also received felt light infantry "CapHats" bound with white trim and black ostrich feathers. 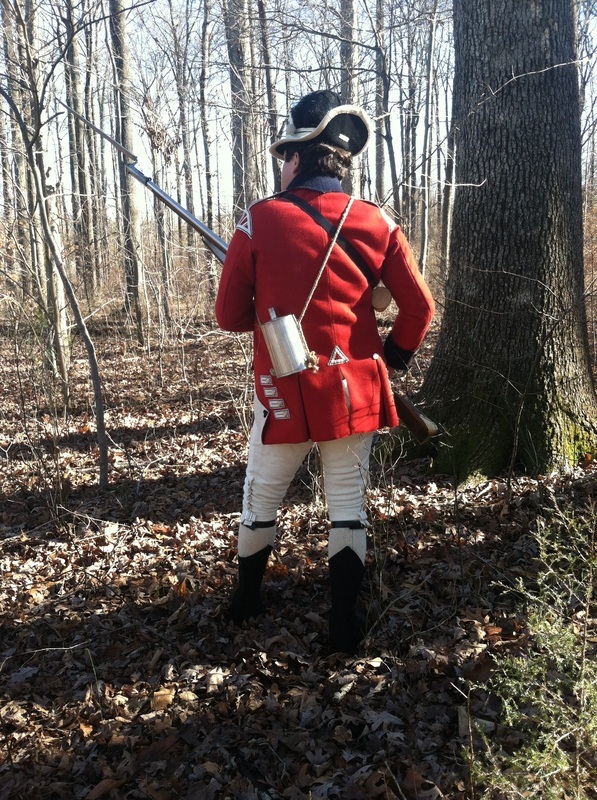 The Light Company's accoutrements, captured during the American invasion of Canada in 1775, included "Setts of Waist Belts, Cartouch Boxes, Hatchet Cases, Frogs, Powder Horns & Belts, Ball Bags & Slings".